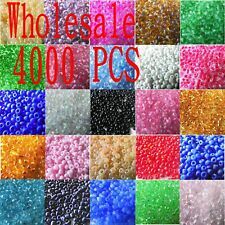 Quantity:1000 pcs(15g). size : 2mm. Type ： beads. Quantity: 1000pcs（About 15g）. Type : seed bead. Color: see picture. We will do our best to solve the problems. Service United States. United Kingdom. Size: Beads:2mm,Hole Size;0.8mm. Pictures:Due to the difference between different monitors, the picture may not reflect the actual color of the item. Rate (item arrived). Quantity: 1000Pcs. if the color look a little different in kind. About Us. We are very appreciated that you keep us in touch about any problem. We will do our best to solve the problems. Quantity: 1000pcs or 15g. Material:irrigation silver Czech glass beads. Use:for Jewelry making. Size : 2mm. Type ： beads. color :see the picture. FGB® Seed Beads, 11/0 Electroplated Glass Seed Beads, Grade A, Iris Round, DarkGray. Glass DarkGray - Beads 1.76 oz 50 g. Glass Seed. Seed&Bugle Beads. Wood & Nut Beads. Jan S.S. Beads Event. It is well known that these seed beads are very little and lightweight, which can be decorated with all kinds of jewelry or crafts. 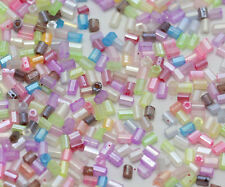 Feature: tiny size, seed beads, round shape, nice for beading jewelry making. 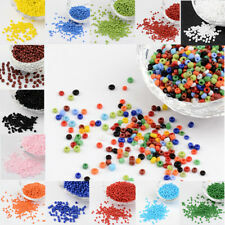 And matched with other various of seed beads makes your design eye-catching and delicate. Material: glass. Color: mixed colors. Feature: round shape, tiny size, seed style, yellow tone, nice for beading jewelry making. 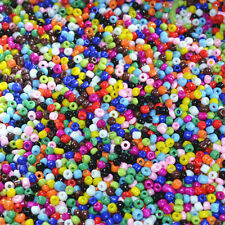 As this item is fixed assorted, you would get 1 box beads shown in the picture. Material: glass. Color: mixed color. 12/0 Glass Seed Beads, Iris Round, DarkGoldenrod Size: about 2mm in diameter, about 30000pcs/pound. Iris round glass seed beads with the metal color appearance are antique and magnificent. The color of this beads is charming and eye-catching. You''ll love how easy these beads are to work with. Matched with other style seed beas to make decent and gorgeous jewelry. Priced per 1 Pound. 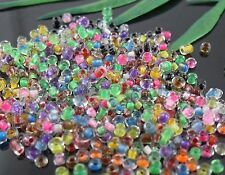 Feature: tiny size, seed beads, round shape, nice for beading jewelry making. 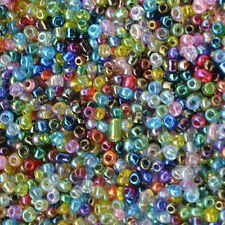 And matched with other various of seed beads makes your design eye-catching and delicate. Color: mixed colors. Material: glass. Size: Beads:2mm,Hole Size;0.8mm. We will do our best to serve you! Pictures:Due to the difference between different monitors, the picture may not reflect the actual color of the item. We will work with you to until you are satisfied. Enjoy creating with these tiny vibrant orange seed beads. Perfect for all sorts of craft or beading projects, Package Includes: Orange Silver Lined Glass Seed Beads Amount: 30g Material: Glass Colour: Orange Shape: Round Size: 12/0 2mm Hole size about 1mm. Enjoy creating with these tiny vibrant orange seed beads. Perfect for all sorts of craft or beading projects, Package Includes: Orange Opaque Glass Seed Beads Amount: 30g Material: Glass Colour: Orange Shape: Round Size: 12/0 2mm Hole size about 1mm. 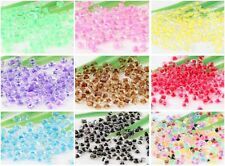 Seed Beads, 13/0 Transparent Glass Seed Beads, Grade A, Inside Color, AB Color Plated, Colorful. 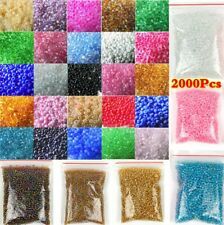 This kind of seed beads is imitation janpanese seed beads. They are good quality; size are unified. You may also like. Item: Electroplate Glass Seed Beads, Round Hole Rocailles, Silver. BUY 2, GET 10% OFF.